Little is known about these two games, but everyone know they are remakes of the GBC version (Silver and Gold). 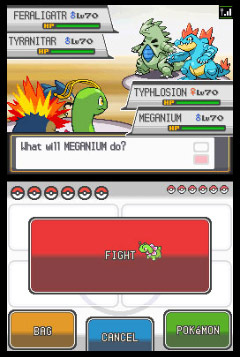 All pokemon are in this game, including legendaries. PokeWalker is a item that can put your pokemon to walk with you, kinda like amity square! Pokemon HeartGold and SoulSilver was today updated with a March 25th release date. This means Australia will be getting Pokemon HeartGold and SoulSilver only eleven days after the US and one day before Europe. The date isn't 100% confirmed yet but considering Nintendo Australia inform retailers of release dates weeks before they bother posting it on their site, it seems like a very safe bet. Many people normally import Pokemon RPGs from the US considering we normally get them a couple of months after America but since we now only have to wait eleven days, HG/SS may be one of the highest selling games in a long time. It seems The Pokemon Company is being really fair since they've become in charge of Australia and Europe along with the US. Australia was the first country to premier Arceus and the Jewel of Life back in November and we were also the first to get the Arceus event, now it seems they are pushing for practically a worldwide release with Pokemon games. The official site for Pokemon HeartGold and SoulSilver has launched however it currently doesn't contain much, click here to take a look. The Official Nintendo Magazine UK has also posted up an article revealing more about the new Voltorb Spin game which has replaced the slot machines in the Game Corner, click here to read it. Finally if you want to take a look back at some classic Pokemon episodes then be sure to visit Pokemon.com's Pokemon TV here which is currently airing episode 7 to 12 from the original Kanto League series. 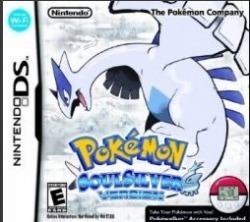 Pokémon HeartGold and SoulSilver Versions come out in less than a month, March 25th! Whet your appetite with some exciting new features! 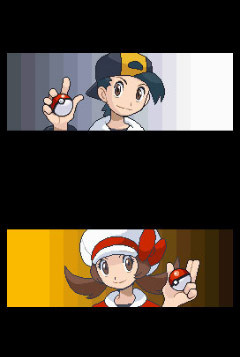 The launch of Pokémon HeartGold and SoulSilver Versions is quickly approaching! We’ve got fresh details on some of the exciting features you can look forward to. From the all-new Pokéathlon sports festival to new functions of your trusty Pokégear.Pokémon HeartGold and SoulSilver Versions are packed with fun features for you to try out. COMPETE IN THE POKÉATHLON SPORTS FESTIVAL! Looking for a new way for your Pokémon to compete? Check out the Pokéathlon! The Pokéathlon offers a series of athletic events for your Pokémon. Events such as the Hurdle Dash and Snow Throw will test your Pokémon like never before! Measure five Performance levels of your Pokémon: Speed, Power, Skill, Stamina, and Jump. Look for ways to improve your Pokémon in each of these five categories! Most of the Pokéathlon events use the stylus in some way. You’ll need to have sharp wits and a quick hand to succeed in these events. Participate in the events by choosing three Pokémon that have the best skills for each event. Depending on how well you do, you can earn Athlete Points, which you can exchange for cool items! And you don’t have to play alone, either. You can play against your friends via wireless communications to see who will be the best at the Pokéathlon! COLLECT APRICORNS AND TURN THEM INTO POKÉ BALLS! Apricorn Trees are found all around the Johto region. You can harvest a range of Apricorns from them, such as the Red Apricorn and the Ylw Apricorn. Store the Apricorns you find in the Apricorn Box, then take them to a friendly guy named Kurt who will turn them into specialized Poké Balls. Kurt’s Poké Balls will typically be most useful in specialized situations. 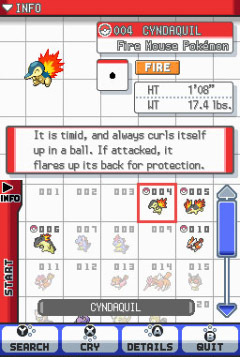 For example, the Fast Ball is good for catching Pokémon that have a high Speed stat. The Pokégear is a useful device that you’ll find indispensable throughout your adventure. It has all kinds of features, including a phone, a map, and even a radio! 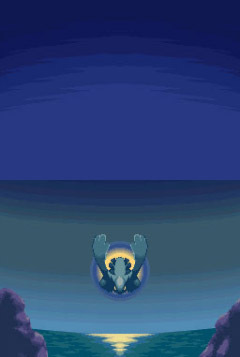 You can use the Pokégear to stay in touch with Trainers around Johto who might be looking for a rematch or to check in with your mom from time to time. With the Pokégear, you can have her hold onto some of your prize money, and she’ll buy hard-to-find items for you! As we get ever closer to the March 25th release of Pokemon HeartGold and SoulSilver, Nintendo Australia are preparing the finishing touches and in doing so have released the Australian boxarts. It's nothing special considering they are the same as the US boxarts but with a G rating however it still makes their arrival seem all the more real. Pokemon HeartGold and SoulSilver are the first Pokemon games to be rated "General", normally Pokemon games are rated "Parental Guidance" due to the gambling references but I guess the Australian Classification Board has realised that the references are very mild and not even worth mentioning. 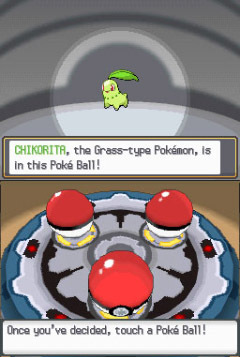 Back in the day when Pokemon HeartGold and SoulSilver were first announced, all the Japanese screenshots and videos showed the three starters and their evolutions following you around the region of Johto. We were all quite impressed with this feature since it brought back memories of the classic Pokemon Yellow Version. As time passed translations and eventual screenshots from Japanese magazines CoroCoro and Famitsu revealed that any Pokemon from Bulbasaur to Arceus could walk along with you outside of their PokeBall. 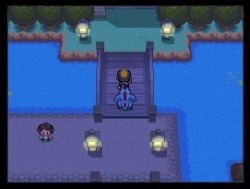 What better way to journey around a new yet old world then with your favourite Pokemon by your side, one that hastrained very hard to help you defeat Gym Leaders, Trainers and rivals alike. To choose which Pokemon follows you is a simple task, whoever is first in your party will be the Pokemon you'll find next to you. When entering a battle, because the Pokemon first in your team is already out of their PokeBall, they simply jump into the battle whenever one is initiated. You can interact with your Pokemon to see how it is feeling, like Pikachu in Pokemon Yellow, your Pokemon wont like you all that much when you first capture it but it'll eventually develop a close bond the more you walk and battle together. 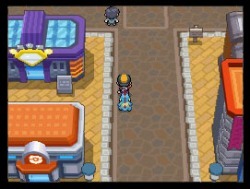 Your Pokemon may also find items and accessories along your journey, just as they would in Amity Square back in Sinnoh. 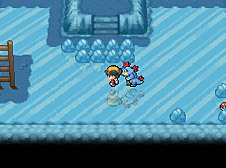 Finally there are secret in-game events that are activated when a certain Pokemon is following you, if Pikachu Coloured Pichu is following you in Ilex Forest you'll encounter an exclusive Spiky-Eared Pichu and if an Arceus if following you in the Ruins of Alph, a man will talk to you and tell you about the secret Sinjoh Ruins. 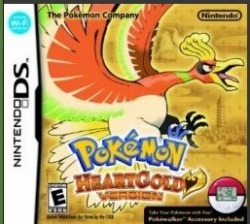 Pokemon HeartGold and SoulSilver are so much more intertwined with the DS Touch Screen then Diamond, Pearl and Platinum ever were. Now that the gimmicky Poketch is gone, the Touch Screen is freed up for more useful features. First up you can access the game menu on the Touch Screen or still press X, which ever you prefer, you can also assign two key items to it so with a simple touch you can be on your bike or fishing in the lake. Your Running Shoes will also appear as a button on the Touch Screen so once pressed you wont need to hold down the B button to run fast any more, you can even press the A button via the Touch Screen so those who prefer the stylus can use it and never have to press a button again (besides the D-Pad). The PokeDex and PC box are also touch screen operated, with the PokeDex you move through all the Pokemon you've seen and captured on the Touch Screen and by clicking on one their details will appear on the top screen. With the PC box it is simply a matter of dragging and dropping your PC Pokemon into your party and visa versa which is much more simple then the previous method, you can scroll through the various boxes and even check stats all with the stylus. 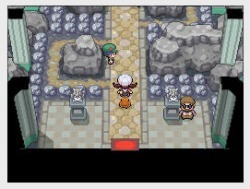 Pokemon HeartGold and SoulSilver are going to bring back so many old memories to fans who've played the originals. Not only will you go through the same locations, Gym Leaders and challenges faced in the classics but you'll also hear all the delightful tunes that you probably don't remember now, but surely will once you hear them. 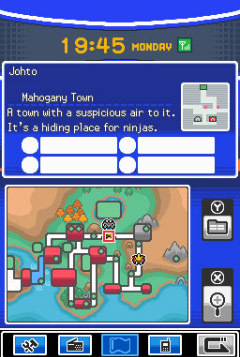 The best part is everything has been updated offering a totally new experience, we'll get to see and hear Johto like never before with updated visuals and in-game soundtracks which is only possible on the Nintendo DS. Finally we can take a Pokemon with us no matter where we go, by loading a Pokemon onto the PokeWalker and going about our daily activities, the Pokemon will gain experience, find hidden items, grow more fond of you and even encounter wild Pokemon all without the DS system. Just like the classic Pokemon Pikachu Colour which connected with Pokemon Gold and Silver, the PokeWalker does the same and will play a vital part in the games for those who use it often. You'll encoutner rare Pokemon with moves they shouldn't know, very useful items, you'll be able to level up those stronger Pokemon more easily and even find wild Pokemon you cannot capture in-game, for the full details check our PokeWalker Guide here. 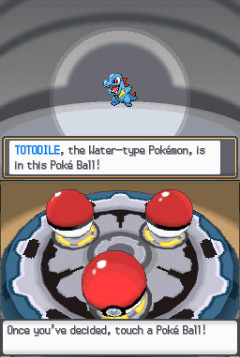 Our favourite thing about Pokemon HeartGold and SoulSilver is experiencing both Johto and Kanto all over again. 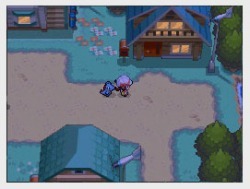 The last time we saw Kanto was in FireRed and LeafGreen so we will get to see Kanto in a totally new way with the improved visuals offered on the DS. 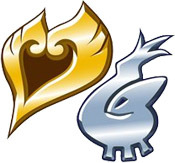 Having two regions also makes the game twice as long, there is now two worlds to explore, double the Gym Leaders to defeat and hundreds of Pokemon available giving HeartGold and SoulSilver the longest playtime compared to any other Pokemon RPG. Not to mention the Battle Frontier, Wi-Fi Plaza and Global Trade Station all imported from Platinum along with the new Pokeathlon tournament there is just so much to do and I'm sure these games will tide up over for years to come.